Present state: Both platforms are extant and in good condition. The main station buildings all survive on the down platform and are now a private residence. A small brick building also survives on the station forecourt. 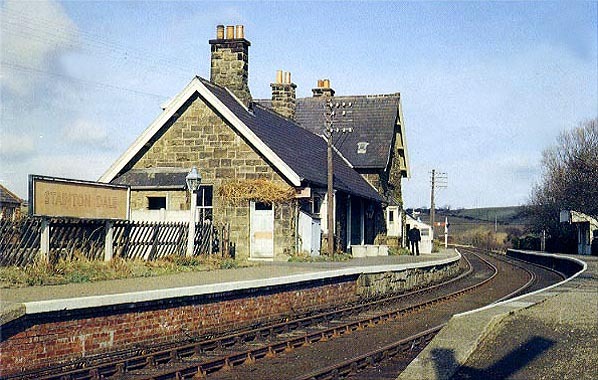 Notes: The station was known as Staintondale until 1937 when it was renamed Stainton Dale. There was a goods bay behind the down platform at the north end and another siding. In later years a camping coach was sited in the goods bay. 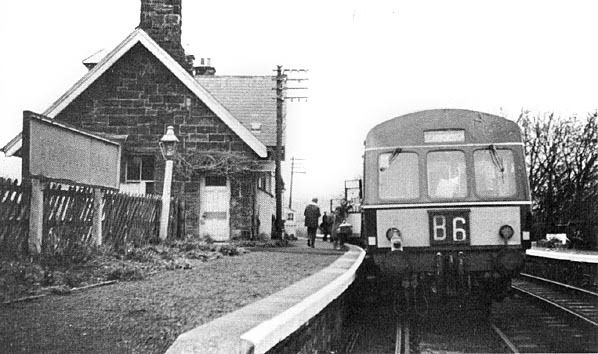 The goods service was withdrawn from the station on 4th May 1964 three months before the freight service on the line was withdrawn. The station won a number of prizes for best kept station. The Scarborough & Whitby Railway was a late arrival on the railway scene opening on 16th July 1885 long after the first proposal to open a line between the two towns in the 1848. One of the problems in building a line was the hilly topography and many of the early schemes foundered because of the difficulty finding an economic route and raising sufficient capital to construct the line. A bill was eventually put before Parliament and received Royal Assent on 5th July 1865 authorising the incorporation of the Scarborough & Whitby Railway. The North Eastern Railway opposed the scheme as they had an inland route between the two towns but this was 56 miles in length while the proposed line was only 19 miles. The promoters of the line countered this opposition listing the abundant mineral resources in the district which would ensure that the lines profitability. were ready for the ballast and permanent way but at the Whitby end the land hadn't even been acquired and a further Act was required. Despite this, construction ground to a halt in 1877 when there was insufficient funds to pay the contractors. There were demands that the company should go into receivership but in 1878 a new contractor offered to take over the liabilities of the company and complete the line on favourable terms; this came to nothing until, in 1879, a new Bill was put before Parliament to revive the powers of the 1871 and 1873 Acts and to extend the periods for the purchase of land and completion of the railway. in a profitable manner quoting a number of different grievances. The North Eastern Railway countered this the following year claiming that the Scarborough & Whitby Company hadn't completed the line in accordance with the working agreement between the two companies detailing a schedule of uncompleted work. Eventually the S&W Company signed a new agreement to pay for this work. route, 37 miles of which was single track, with limited passing places. The gradients were also amongst the most severe in the North Eastern area and the presence of frequent sea fog, which made the rails slippery, aggravated the problem. In 1933 traffic was so heavy in the summer that great difficulty was experienced in working the service and a Committee on the Working of the Coast Line was set up. Their brief was to make recommendations to give a greatly improved service in the summer of 1934. The Committee visited every station to discuss the working difficulties and their suggestions included the provision of two new passing places and improved signalling and the building of a bay platform at Scarborough Central. Initially the line was to have had its own terminus at Scarborough but in 1884 the NER had agreed to provide temporary goods and passenger accommodation at its Central Station. and the line quickly lapsed into unpredictability. 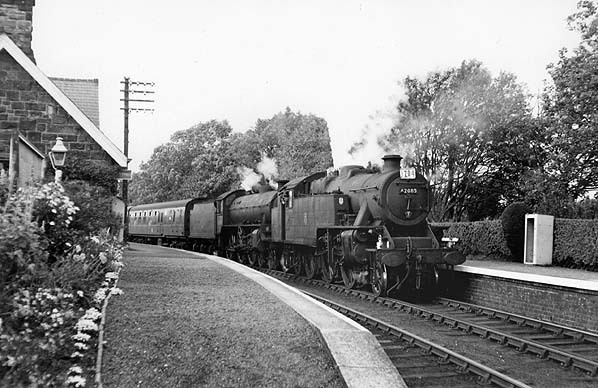 The camping coaches were still operating at a profit but this was insufficient to save the line which closed to goods traffic on 10th August 1964 and to passengers on 6th March 1965. 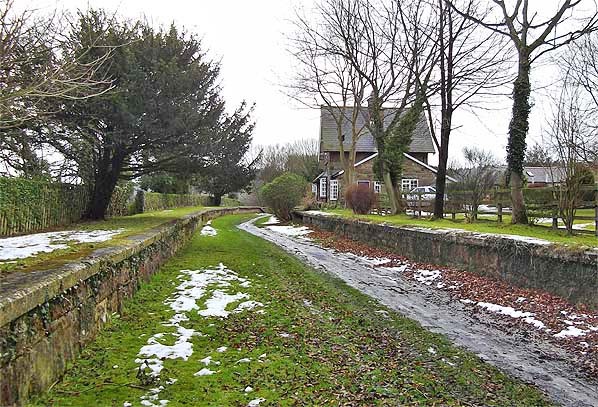 Today the route of the railway forms a popular footpath and cycleway known as the Scarborough to Whitby Trailway. 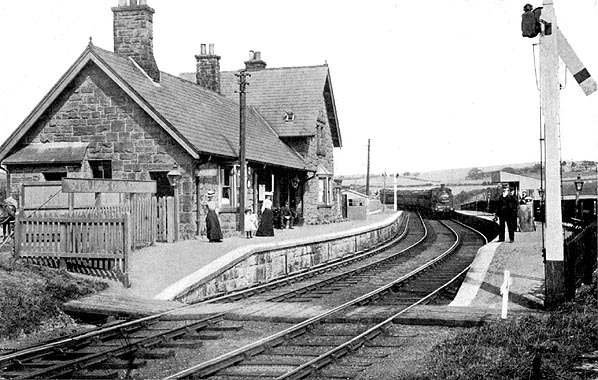 Stainton Dale station looking north in c.1905. 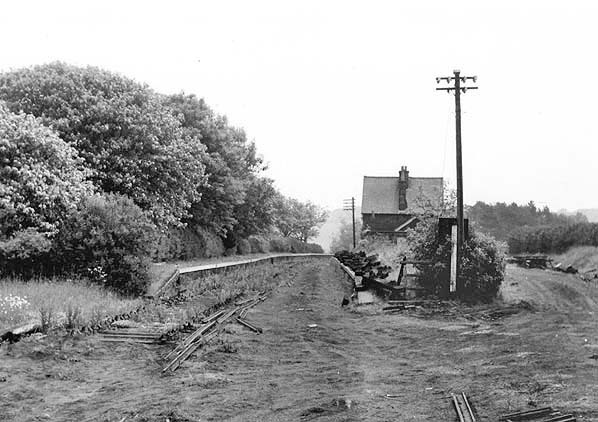 Looking south towards Statinton Dale Station in c.1950's. Note the camping coach in the goods bay. 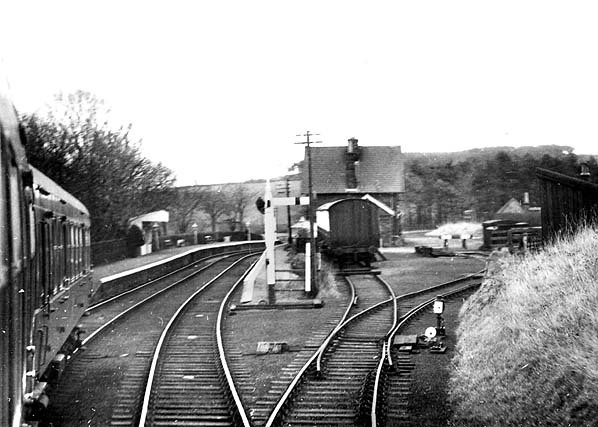 Stainton Dale station looking north in 1965, shortly before closure. 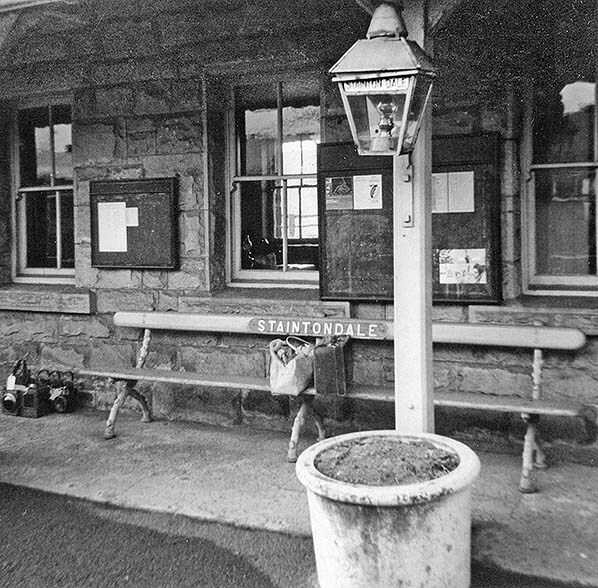 Stainton Dale station on the last day of public service. 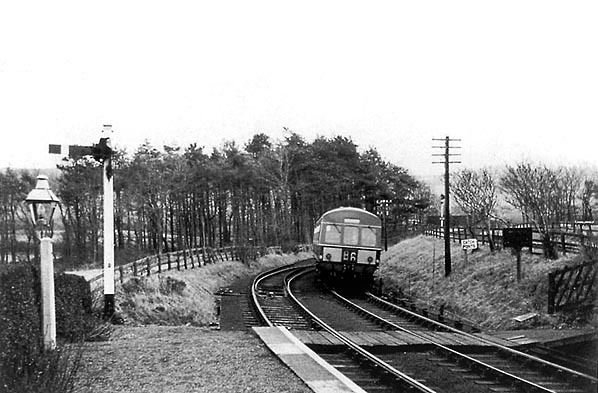 Stainton Dale station looking south in the late 1960's, shortly after the track was lifted. 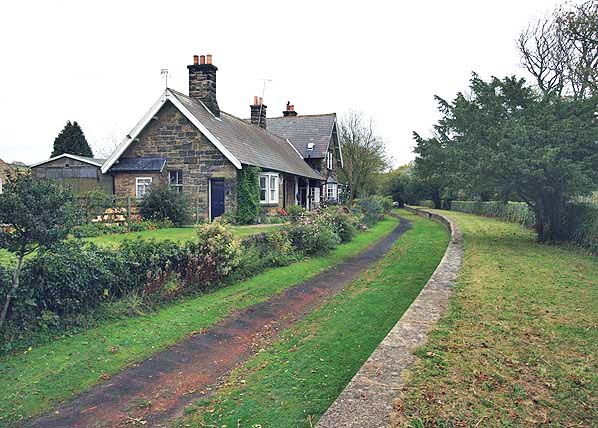 Stainton Dale station looking north in October 2007. Stainton Dale station looking south in February 2012.